Lilly Estates – Stay, Relax, & Enjoy. 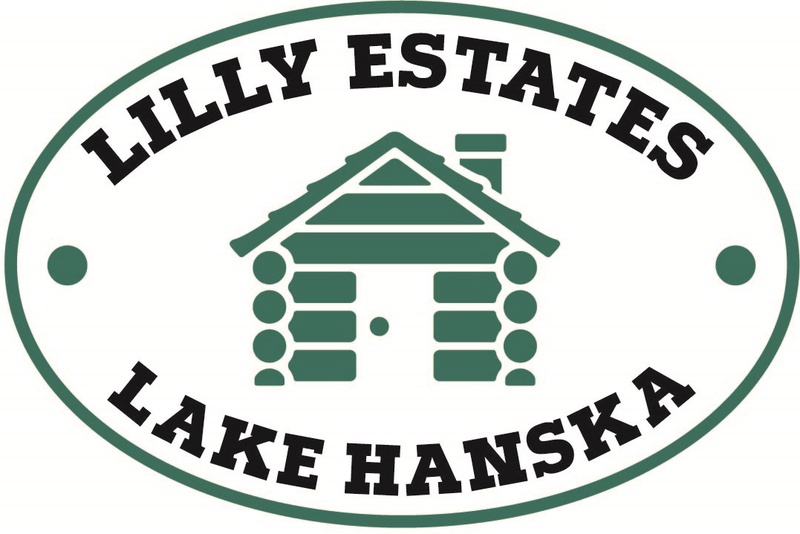 Lilly Estates is a Modern newly renovated Log Home located on Lake Hanska, in south central Minnesota. Stunning 2,400 square foot, 3 bedroom, 2 bathroom home sleeps up to 14 and sits on 3.6 acres providing 700 feet of lake shore. Just 2 hours south west of the the Twin Cities, it gives you peace and tranquility while still providing ample up to date local resources. Lake Hanska is a multi recreational lake from fishing, boating, to swimming. Stretching 9 miles long, you can be assured you will have plenty of space without being crowded. We are a family owned business open all seasons. We offer many different stay options. This fully furnished home is set up to provide you an outstanding time either hanging out inside for a weekend retreat, or outside enjoying the recreation and beautiful countryside. With the variety of stay or rental options, along with this modern facility we can make your fit. Spend time with family and friends for a weekend, or week long stay. Looking for a great place to spend time without heading 4 hours north to a cabin. We have what you need right here in south central Minnesota. Bring your whole family for that annual vacation, or that great group of friends. There is enough bed space to sleep 14 between the 3 bedrooms. Everyone can sit together in the large dining room space, and then spread out on the 3.6 acre property. 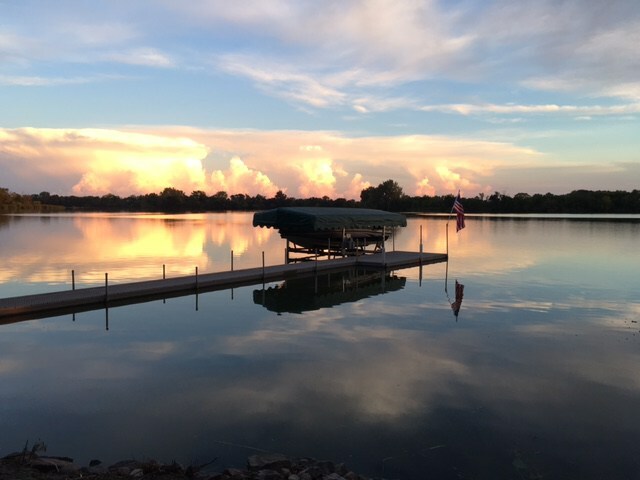 Spend time swimming in the lake or bring your boat and head out fishing or water skiing. Stretching 9 miles long you will have plenty of space to get the new or very experience water skier up and moving. Out of the water there is a wide variety of other recreational activities to keep everyone interested. Love biking, located on a paved county highway enjoy the country with minimal traffic. Even bike to the county park to take in the history and sights only a mile away. Best part is no neighbors for a quarter mile in either direction, so your getaway will be kept rather private for your family and friends. Did we mention the fishing. Guys whether it's trolling down the lake or sitting on the ice, what a better place to get off the lake and clean those fish while you tell your tales. Lake Hanska is a very popular south central Minnesota lake spanning 1795 acres, and stretching 9 miles long. Set out for the morning catch or the spend the day trolling the lake. With it's varied depth reaching 16' max, you can expect to find Walleye, Blue Gill, Large Mouth Bass, Northern Pike, Perch, and Sunfish. Land your boat at one of the three public landings and tie it to the dock during your stay. Have more time during the winter, bring the crew and spread out on the ice to find the right spot. Later on head back in clean the fish and recline back in the spacious rec room. Need a ladies getaway, spend your weekend scrapbooking or just relaxing. We have table seating for 12 in our Great room and lower level. Each table set up with its own light, wastebasket, outlets, and comfortable roller chair. Laugh and enjoy your time all together under the vaulted log ceiling. With this great atmosphere your mind will surely flow developing some outstanding pages in your books. Connect onto our WiFi and look up what you need, so no worries about using up your data while your here. Need a computer, use ours and search what you need or even print it out. When it comes time to rest, everyone will be able to grab their own very comfortable bed and sleep soundly. Just looking to take a break, go downstairs and put your mind to ease in our wonderful rec room area. Looking for a new refreshing place to hold that next business meeting, nothing better than staying in trend hosting it here. Sit at our bar height meeting table while looking at charts on the 55" display screen. Take your refresher break either downstairs in the Rec Room near the fireplace or walk along the shore line clearing your mind to make those great business decisions. Just need a place for that family celebration, rent it out for the day and have plenty of room to fit everyone while keeping them entertained. Connect with our catering option, and practically all you will have to do is bring your decorations. Maybe you sell certain consumer goods either full time or on the side and need a place to hold your party. Don't worry about ship shaping your house to try and fit a big group of people in. Come set up your display and spend more time with your guests. They surely will be in a good mood with our atmosphere to give you full attention to your products. Dates are filling up so don't hesitate to book your event today. With all these great options Lilly Estates will surely fit your family, friends or business needs.